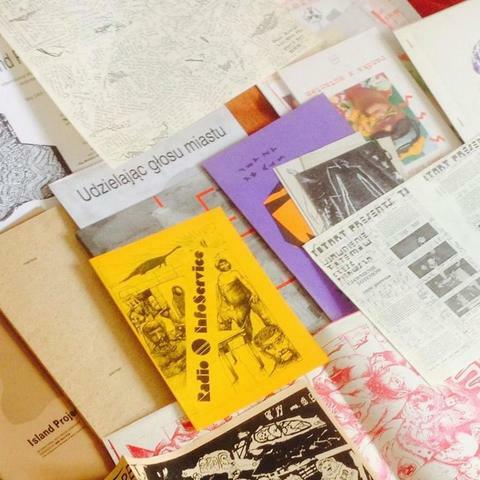 CHMURA Visual Culture Foundation is a non-governmental initiative that conducts activities in the field of digitalisation, research and archiving of materials documenting artistic life in among others the Tri-City area (Gdansk, Sopot, Gdynia). Moreover our focus is to initiate a discussion about archiving various disciplines of art using modern tools and search for an answer eg. how to archive an ephemeral art (happening, performance, sound-art etc) not only by documentation. At Supermaket 2019 we are planning to design an exhibition which will comment terminology of a term 'archival'. To the cooperation we have invited: Angelika Fojtuch (performance artist, based in Düsseldorf), Agata Nowosielska (painter, living and working in Gdańsk) and Florian Tuercke (artist, living and working Nurnberg, Germany). Moreover in the booth we will present a digital archive of Chmura Foundation, which will contain sound art, oral history and radio podcasts.